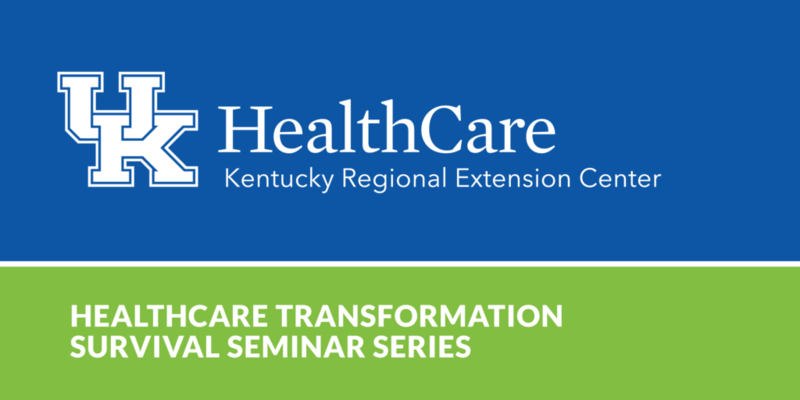 Join us for our 2019 Healthcare Transformation Survival Seminar Series! During our day together we’ll discuss quality improvement techniques, the Quality Payment Program, and more to ensure that clinicians, hospital administrators and clinic staff in the state of Kentucky are well-prepared for the changing healthcare landscape. This event will explore: QPP Year 3, Implementing Quality Improvement in your Practice, Quality Measure Improvement, Improving Quality through Feedback Report Alignment, Telehealth, HIPAA Security Risk Analysis and Vulnerability Scanning, Promoting Interoperability, and Health Information Exchange. This activity has been approved for 4 AMA PRA Category 1 Credits. All events will start at 9:00 am for registration and end at 3:10 pm local time. Questions? Contact Kentucky REC or call us at 859-323-3090.